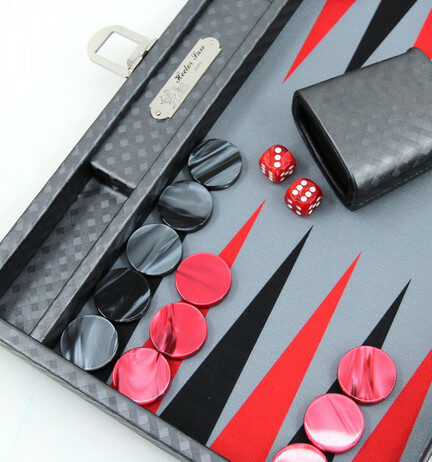 Backgammon of high quality in black leather imitation with Alcantara - playing field, inclusive sleeve, by Hector Saxe in Paris. Size: approx. 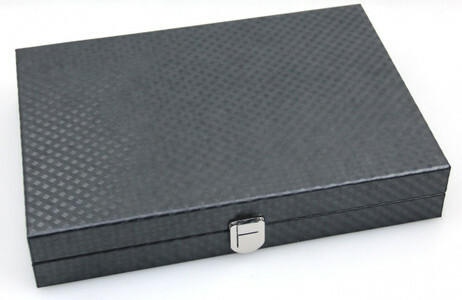 37 x 25 x 7 cm (closed), checker: approx. 31 x 6 mm, weight: approx. 2,1 kg. A fantastic way to play. 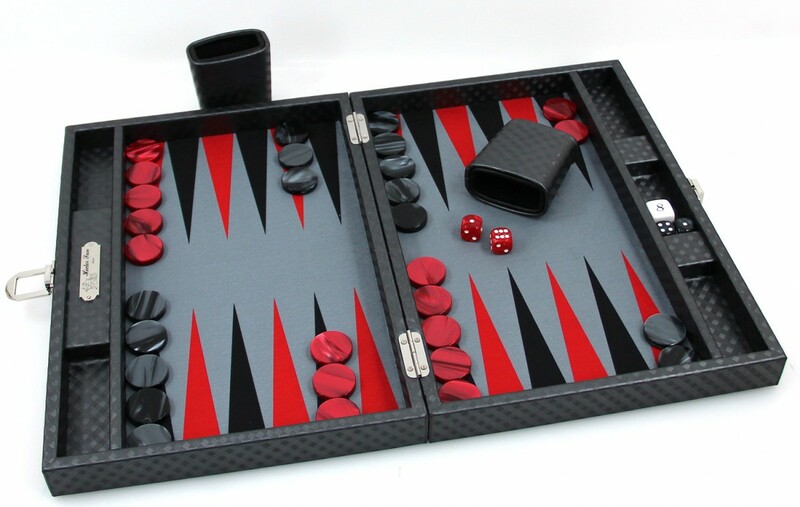 High quality manufactured Backgammon case from one of the leading backgammon companies. All interiors of the new collections of backgammon are in Alcantara. It has a high quality and a very nice touch, similar to velvet and has the particularity of not fluff. Hector Saxe Backgammons, which were constructed in France by high quality levels, are meanwhile recognized in the worldwide tournament scene.